Anna Arden is making her last stand in Winter War Awakening, the final book in Rosalyn Eves’ Blood Rose Rebellion trilogy, but her story is also returning to some familiar pitfalls. Hungary is on the verge of war: With the Austrian Empire and its allies, and with the creatures known as the praetheria that they don’t even see coming. Since being outcast and imprisoned by the humans, the praetheria has been biding their time to attack. Anna and Mátyás know this, but they’re one of few who do, and their efforts to caught up in trying to save praetherian captive Noémi. They play a careful game of chess between the angry creatures and the warring armies, but winning doesn’t feel like a genuine possibility as the fighting grows more intense than ever. Throughout the series, Eves has done a great job riding the fine line required for historical fantasy– meshing important real-life events in with the impossible magical elements to create something fresh. At the end of the novel, she uses this unique genre to create a show-stopping conclusion but while getting there, Eves struggles to provide fresh, engaging storyline for her characters. Anna and Matyas go through a revolving door of training and being kidnapped– occasionally training with the people that kidnapped them. A couple of important secondary characters change their alliances in the blink of an eye without much internal conflict recognized. It feels like something we should be past in the third part of a trilogy. 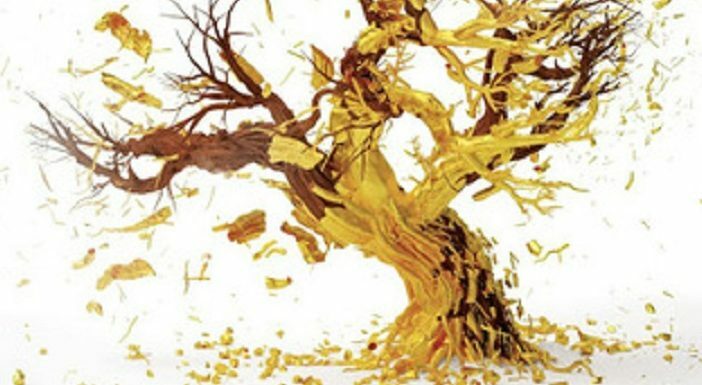 There are confrontations, moments of drama, and a bright reveal that help elevate the novel in its latter half, but the first half just doesn’t offer much for readers to sink their teeth into. While this series doesn’t and in my opinion shouldn’t focus on romance, they way it conveys the small amount of romance it does have is a source of frustration. Yet again, this novel keeps Anna and Gabor for most of the time. Thankfully, it employs a charming device meant to remind you of their connection throughout, and that eases things up a bit. Still, I want to really still how these two work as a team in stressful situations and there’s very little of that. Meanwhile Noemi, who was a great character in her own right in the first book, is essentially chalked up to a romantic straw man. I did appreciate the moment in which Matyas seemed to recognize the error of his ways in his past relationships, though it’s only a brief flash in the overall story arc. I was happy with the novel’s conclusion, but I needed more from the story and the characters alike. I liked this novel– and this trilogy– and thought it was interesting, but in a sea of YA releases, it’s a bit forgettable. 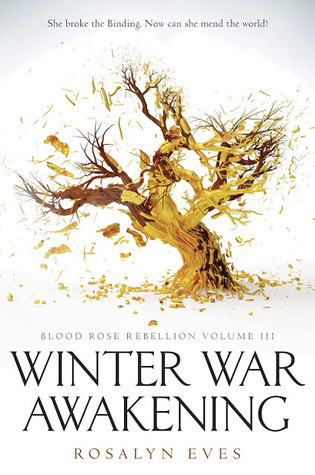 Winter War Awakening (Blood Rose Rebellion #3) is out now. You can grab a copy via Amazon or support your local independent bookstore via Indiebound! The Binding is broken. Mátyás is alive. And Anna Arden is on the run. It seems, yet again, that breaking the Binding has shattered the world. And the only hope of mending it is Anna and Mátyás, working together. But it’s never that simple, is it? The praetheria, the creatures once held captive by the spell, are now waging war against the Austro-Hungarian empire. And they are holding Noémi hostage–using her life to manipulate Anna and Mátyás, like marionettes on a string. Gábor has elected to stay behind, to fight in the Hungarian army’s resistance, while Anna and Mátyás search for their beloved Noémi–a mission doomed from the start, cloaked in praetherian magic. Magic that relies on illusion and misdirection. Eventually, there’s only one way to save her: to split up. And to walk right into the lion’s den. When everyone thinks they’re fighting each other for the same thing–freedom–can anyone truly win?